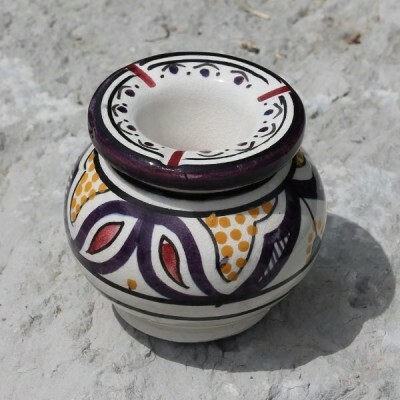 Moroccan ceramic ashtray hand-crafted in Safi - Morocco. Moroccan ceramic ashtray decorated with dark blue and yellow colour painting patterns, hand-crafted in Safi (Morocco). You must add 5 as a minimum quantity to buy this product.